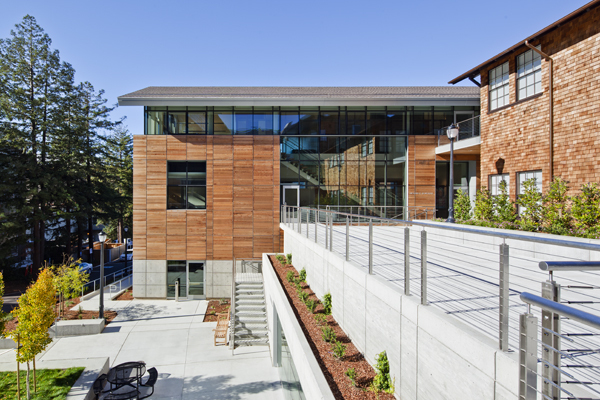 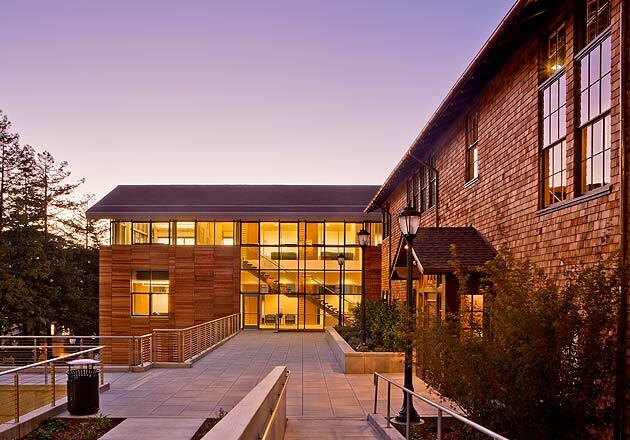 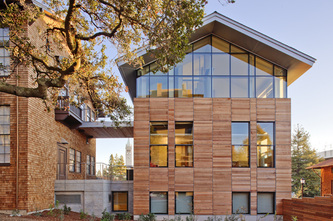 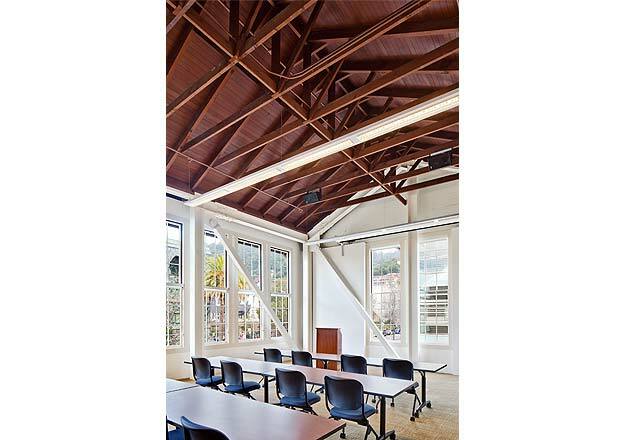 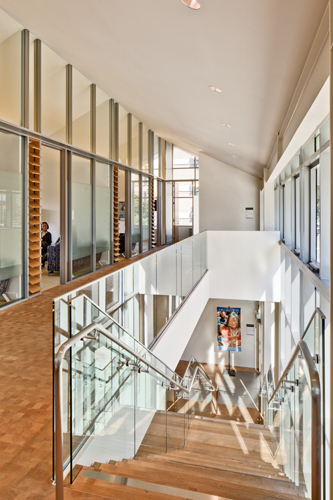 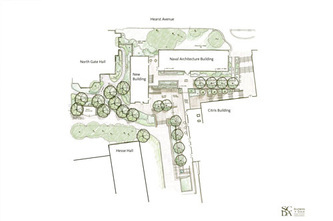 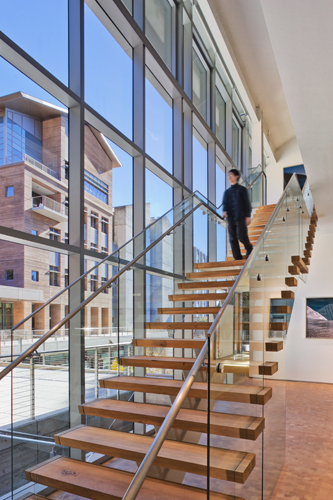 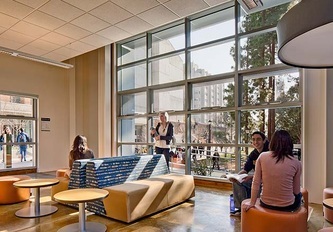 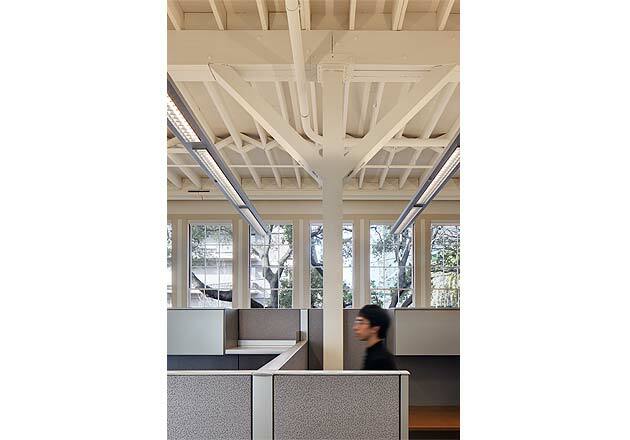 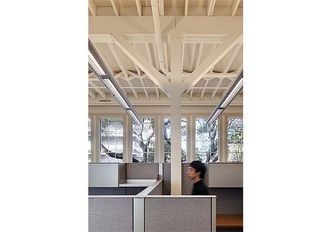 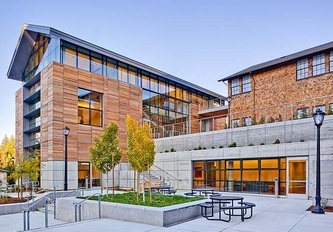 The KSD Group was engaged by Richard C. Blum to manage the restoration of and addition to the Naval Architecture Building on campus at UC Berkeley. The project was unique in several ways. 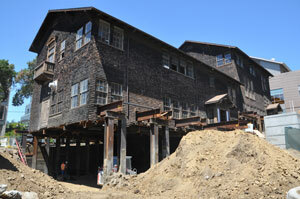 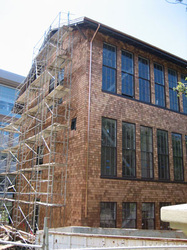 The existing ninetyfive year old building, which is on the National Register of Historic Places as a California State Landmark, was restored to meet modern structural codes and life safety upgrades while at the same time preserving the historic fabric of the original John Gallen Howard design. 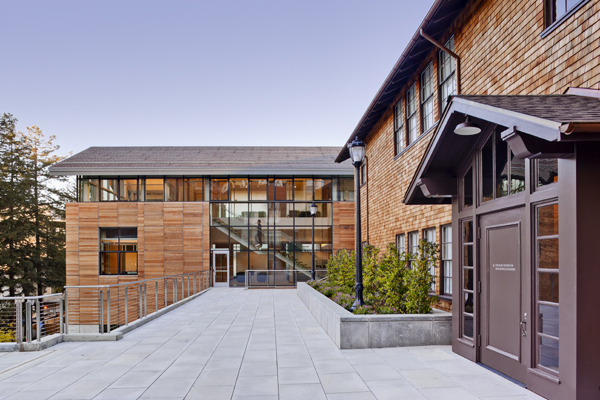 The existing restored Naval Architecture Building provides a new home for the College of Engineering’s Coleman’s Fung Institute of Leadership. 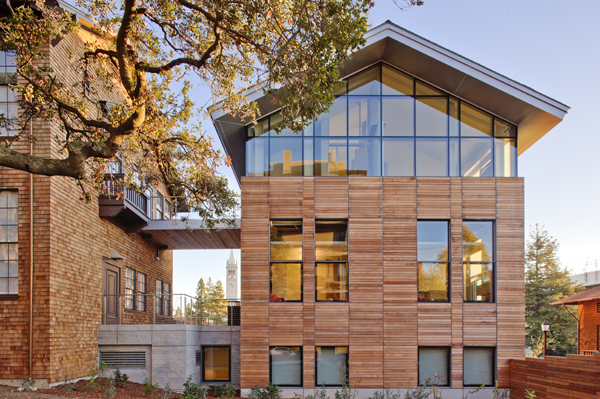 The Coleman Fung Institute provides a master’s program at the College of Engineering with emphasis on leadership. 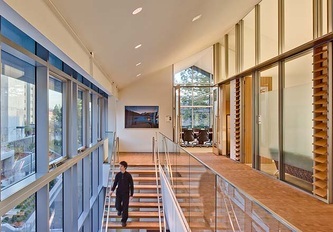 A new 12,800 sq. 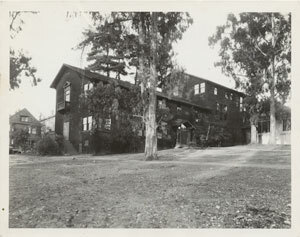 ft. wing was constructed sixteen feet away and is linked to the historic structure by a second level bridge and a ground floor collaborative space under a new terrace. The new wing, designed with a glass curtain wall and wood rain screen facade, incorporates massing and roof form designed to be compatible with the restored building’s historic characteristics of stepped floors, extensive window bays and offset roofs. In order to construct the facility with private donor funds on campus property, the land was leased from UC Berkeley for the short term to construct the improvements within the private sector. 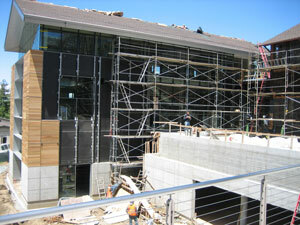 Upon completion, the improvements were gifted to UC Berkeley by the Blum Center Foundation who retains use of the space in the new wing for use by the Blum Center for Developing Economies, a multi-disciplinary venture with the UC College of Engineering established to address global poverty in third-world countries. 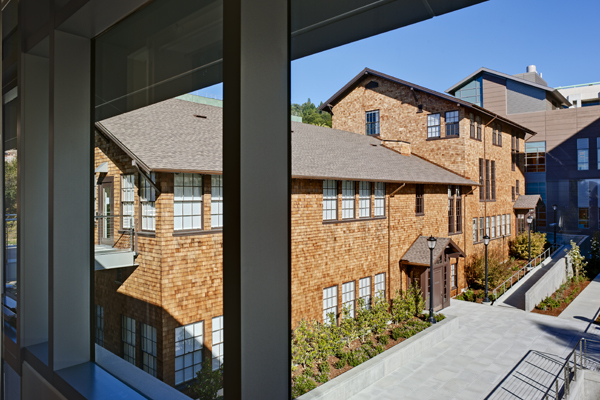 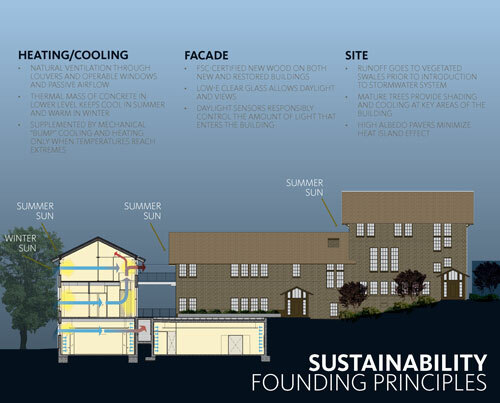 During preconstruction, KSD coordinated the efforts between the design team headed up by Gensler Architects and the UCB administrative and regulatory groups to move the project through the CEQA and historical preservation approvals. 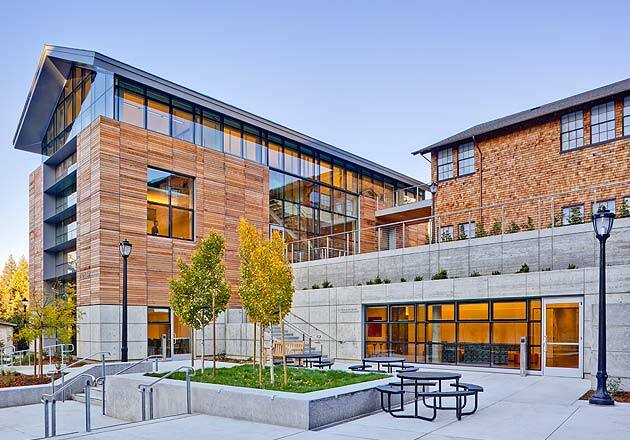 During construction, KSD provided full service project management to control and monitor project cost, schedule and quality of the improvements. 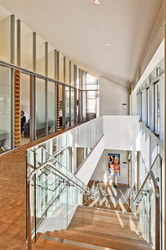 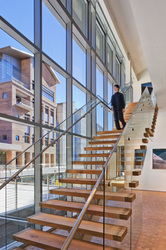 The project received a LEED Silver Certification.